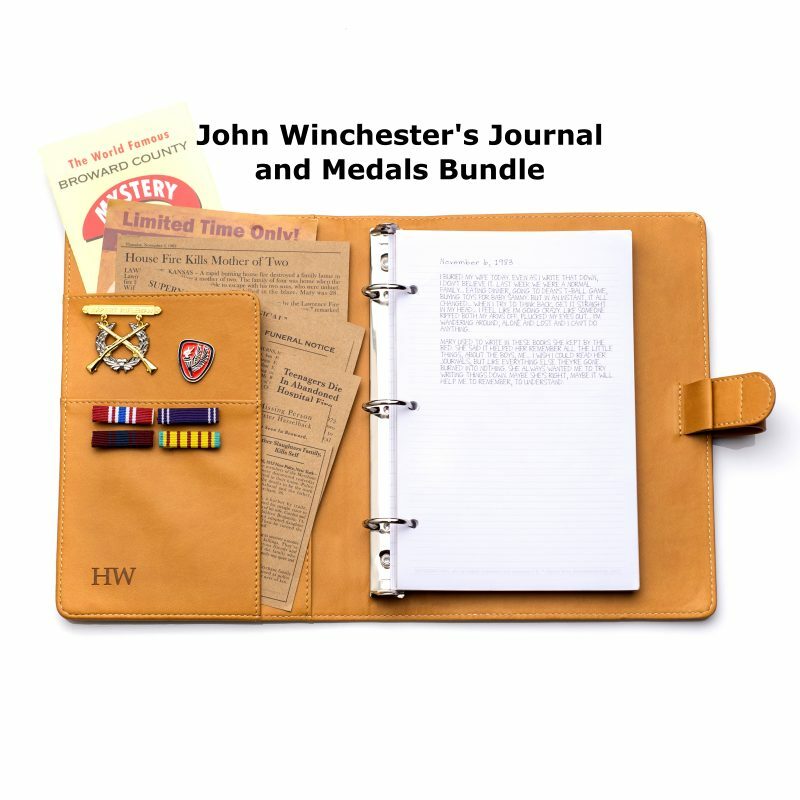 John Winchester replica journal bundle includes the faux leather journal with replica and lined pages, 5 news articles, the Mystery Spot brochure, Biggerson’s Turducken ad, 4 ribbons and 2 medals. 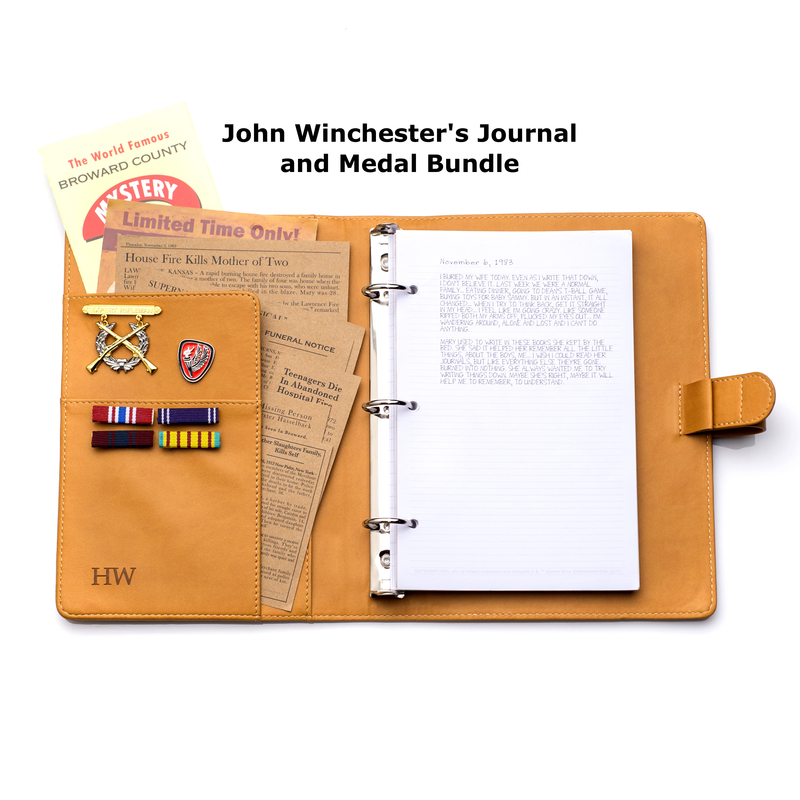 Get the full bundle – the replica John Winchester journal AND the medals and ribbons to go inside! 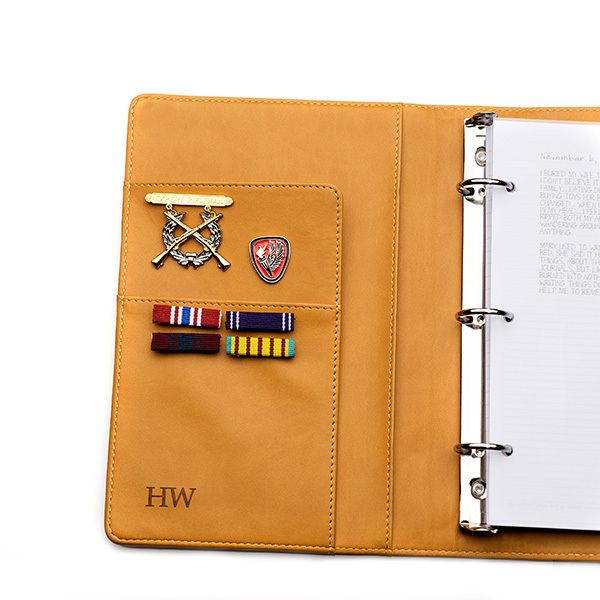 John Winchester’s journal is made of high quality faux leather and has been custom created with the pockets and “HW” for Henry Winchester on the inside. 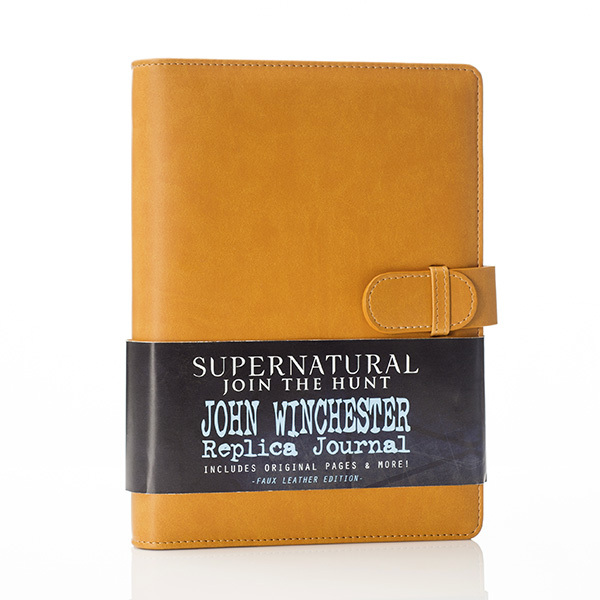 The journal includes replica pages with John Winchester’s diary entries, sketches and notes. 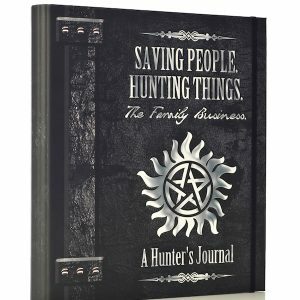 There are additional blank lined pages for you to fill in your own hunting stories. 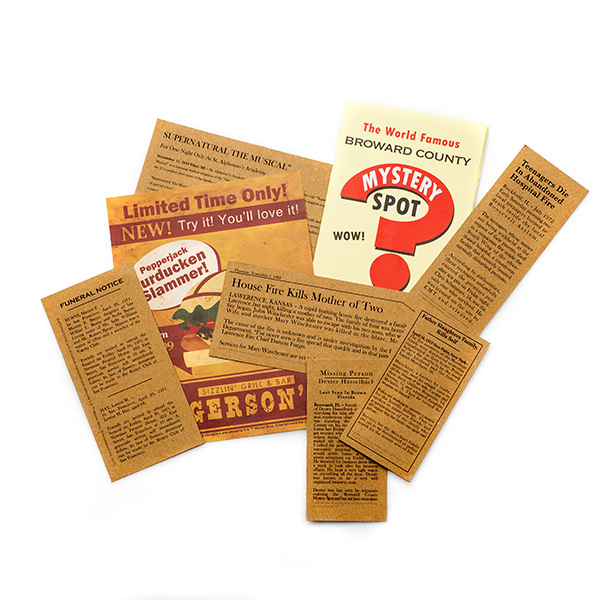 The journal also includes a packet of 5 news articles to stick in your journal, a Biggerson’s Turducken Slammer ad and the Mystery Spot brochure! 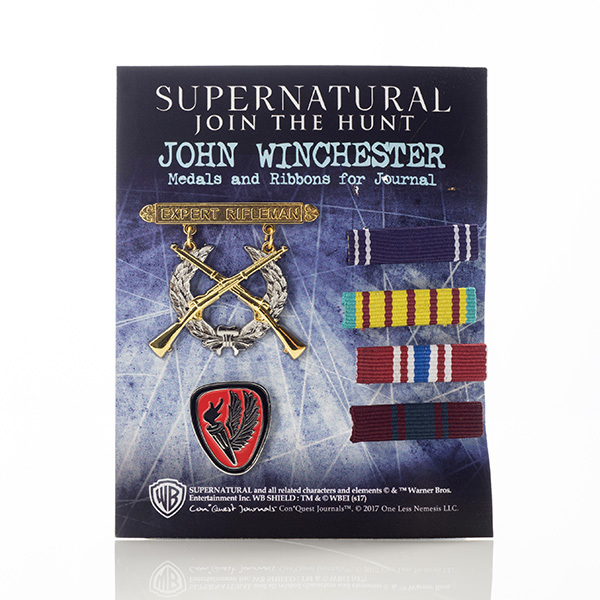 Set of 4 ribbons and 2 medals inspired by the military pins shown in John Winchester’s Journal! 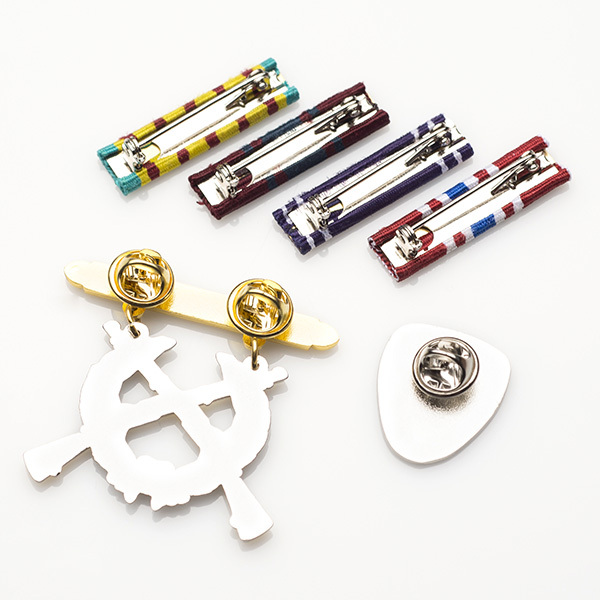 Each medal and ribbon has a pin backing so you can secure it to the journal. This journal is AMAZING. There is so much attention to detail and the quality is beautiful. The medals, ribbons, Biggerson’s Turducken flyer, the road map with all of the hunt locations (which I can’t even IMAGINE how long that took to research and to put together! 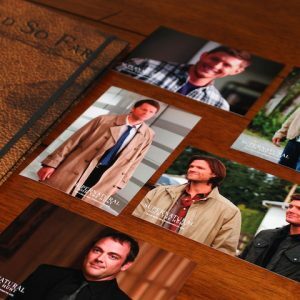 ), the newspaper clippings, the Mystery Spot brochure…put ’em all together and it really does feel like you’ve got your hands on John Winchester’s journal. 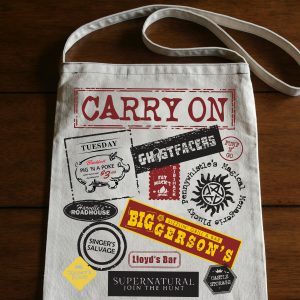 This is a product that was created with love for Supernatural, pride in craftsmanship, and integrity keeping things true to the show. I am overwhelmed with how much I love this journal – thank you! 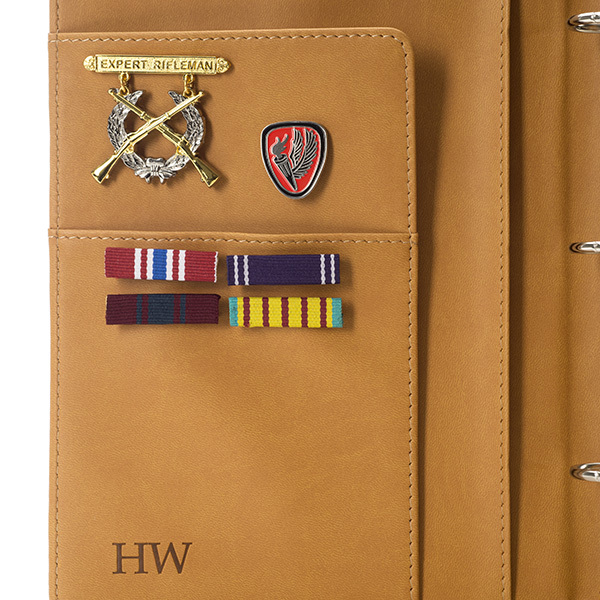 Awesome journal with great attention to detail. I can’t even put into words how cool this is. If you’re a fan of the show then there’s no question you’ll love this. 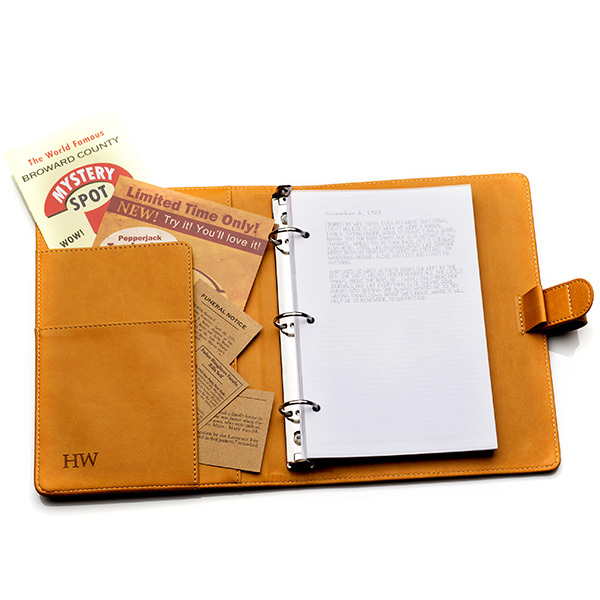 The journal itself is good quality with a good heft to it that adds to the feeling of authenticity. The monster pages are well done and a lot of fun to read. It’s really fun going back and watching some episodes where they looked at the same pages. The newspaper articles are really cool as well and I particularly love the mystery spot brochure. The medals are great quality. I did worry a bit about the backs of them making an indention in the journal, particularly the rifleman one and the other red shield shaped one. So I took the cardboard card they came on and put it in the pocket behind them. You can’t see it, but it puts a layer of cardboard between the medal backs and gives me a little peace of mind. 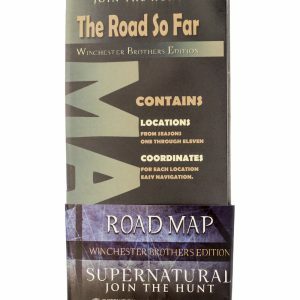 While you’re at it, I’d recommend getting the “Road So Far” map as well. Besides it just being awesome in and of itself, I stuck mine in my journal and it looks really cool. Adds a neat extra touch. I haven’t tried it yet, but I’m hoping the whole thing will fit in my glovebox. This is awesome!!!! Thanks King Books for showing me what I was missing! If you’re like rest of us nerds, looking for a prop from your favorite show. This is it. Its beautiful. Has that new car smell. All the pages are detailed replicas! With extra sheets if you’re braver than I and would want to write in it. 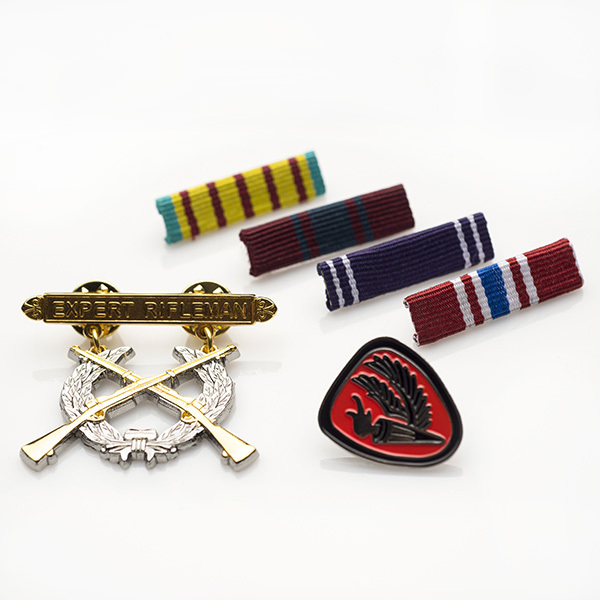 And the medals….that is just extra. This is gorgeous!!! If you guys ever do a journal of impossible things from Doctor Who…. Seriously. I have no regrets buying this. It looks straight out of the show. 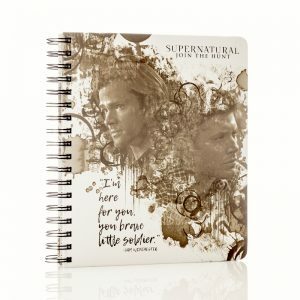 From the Wendigo page to Dean with the coordinates…. Thank you guys so much!!!! !I love this! Would recommend!!! Bought for a friend too!!! Thank you so much Kate! We are so glad you love it! Just wait until you see the Sam and Dean pages! This is so perfect!!! 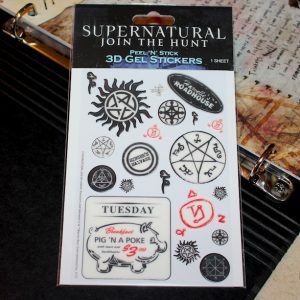 I highly recommend it to any supernatural fan. It’s really well made, and it’s obvious that a lot of time and effort has been put into it. I absolutely adore mine! Thank you so much. Can I buy it from Spain? I’m sorry Emma! Due to contractual restrictions, we can only sell to the US and Canada. Thank you! I love, love, LOVE this journal! I was worried about getting the badges pinned and had a couple of issues with the ribbons pinned, but I did the best I could. 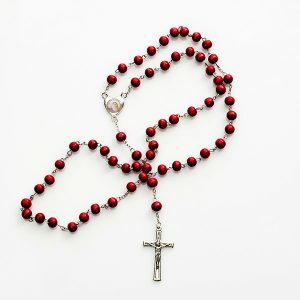 I need to buy the map and rosary still, but it’s awesome!